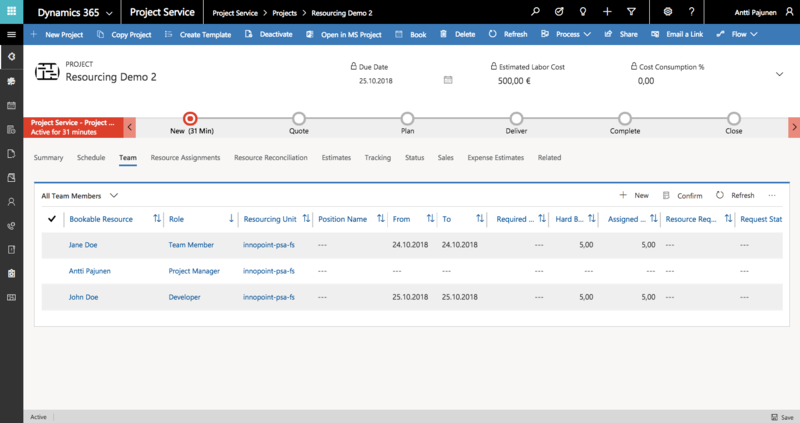 Version 3 of Dynamics 365 Project Service Automation has changed the way bookings and assignments work in PSA. As they are now only loosely coupled, Project Managers have more flexibility when it comes to resourcing. This vlog will cover resource bookings and assignments in PSA V3. Be sure to also check my previous article about the new Reconciliation View. John Doe’s Role on the Team will be Developer. If a named resource does not have a default role set, the role of the named resource will match the Team Member Role set under Project Parameters. In the photo below, Jane Doe has a role of Team Member, which is the default Team Member Role under Project Parameters. For deep dive guides on resourcing, be sure to check all the guides by the Product Group here.